Watering tomatoes during the planting process is an important step in helping them adjust to the outdoor garden. When you know how much water newly-planted tomatoes need and when, you’ll help them get established and begin producing lots of sweet, healthy fruit. About an hour before planting tomatoes in the garden, water seedlings deeply. After digging hole or trench and mixing in compost, add water. Allow water to be absorbed into the soil before planting tomato. Within 10 minutes of transplanting, give each plant a gallon of water to offset transplant shock. Deliver water slowly around the base of the plant, rather than overhead. Slow, deep watering allows absorption into the soil, fills air pockets, and helps avoid spreading diseases. Wait to mulch tomato plants until they are established - about 2-3 weeks. Monitor plants at least once, preferably twice, daily. Give each plant at least a quart of water each day, more if the weather is especially warm. 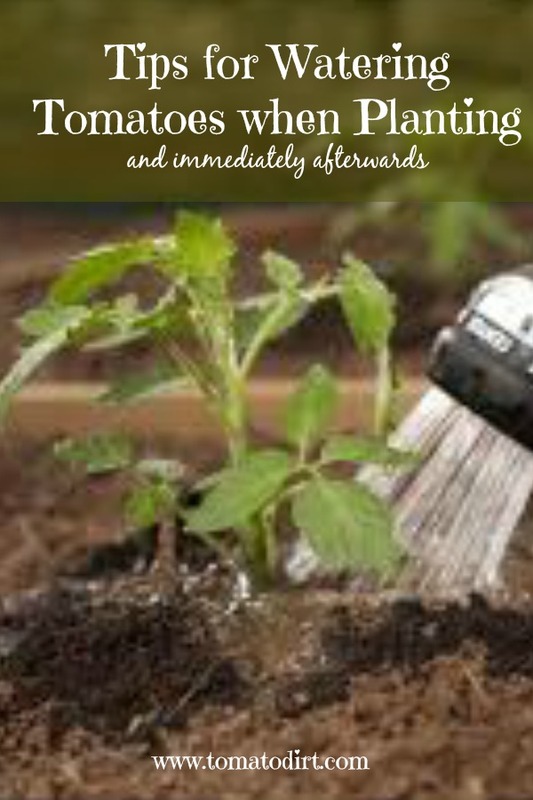 Tomatoes that have been in the ground for 10-14 days need consistent watering but also need to be strengthened. Give them 1-to-3 inches over 10 days or even 2 weeks – closer to 1 inch if the weather is cool, closer to 3 inches if temperatures are hot. The touch of extra stress on the plant pushes it to produce fruit. Established plants get 1-3 inches a week of water (including rainwater) – closer to 1 inch if the weather is cool, closer to 3 inches if temperatures are hot. On average, each plant should get 2 gallons of water a week. Tomatoes need water more than once a week. Don’t give them 1-3 inches all at once. They’ll dry up and get stressed in between waterings. Don’t water a half inch every day. They’ll get lazy and develop shallow root systems. Instead, provide water every 3-4 days until fruit emerges. Keep watering patterns consistent to prevent cracking, blossom end rot, and poor production – and to produce healthy tomatoes. Drip hoses are one easy way to water tomato plants consistently. You can even set them on a water timer. Am I watering tomatoes enough? Watering gadgets: which ones do you need for growing tomatoes? Have a Great Tip for Watering Tomatoes? Share what you’ve learned about watering tomato plants in your home garden. 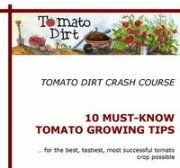 Your how-to will help the rest of us grow great tomatoes, too! Do you have a picture to add? Great! Click the button and find it on your computer. Then select it. (Make sure your photo is no larger than 800 x 600 pixels).